Ford has officially built their faster production vehicle to date. Canada, meet the all-new Ford GT which, when assisted by fully active dynamic systems, achieves a mind-blowing speed of 216 mph (347.6 km/h). It is the highest speed ever achieved by a Ford production vehicle. Ford knew the GT could best any vehicle in their own lineup. It was during 2016 development testing that the American auto giants decided to see if their supercar was faster than other competitors. They decide to pit the Ford GT against two of the fastest production racers on the planet; The McLaren 675LT and Ferrari 458 Speciale. After all, you’re not the best until you beat the best. It all went down at the longest track in Canada: Calabogie Motorsports Park. All three vehicles were outfitted with new fluids, fresh tires, and optimal suspension settings. Each car was raced in identical conditions and with the same driver at the helm. 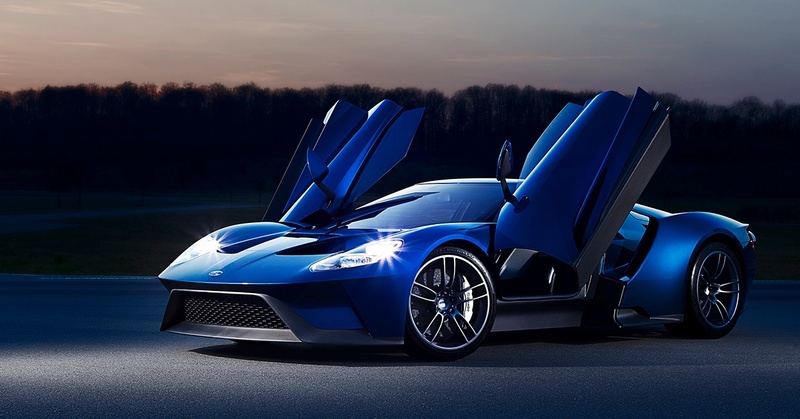 And because it was designed and optimized for track performance, Ford knew the GT would honor its racing heritage. Performance: As a result of Ford’s new high-output 3.5-liter V6 engine, the GT produces the most horsepower of any EcoBoost production engine ever built. Although the race was tight, the GT had the clear edge. Weight: By using carbon fiber in the design, Ford was able to reinvest the resulting weight savings where it mattered most: Performance. The GT’s dry weight is approximately 3,000 pounds, which puts it directly in between the 675LT and 488. The GT’s power-to-weight ratio is 4.72 pounds/horsepower. This isn’t the first time the GT has bested other performance cars and it certainly won’t be the last. 2016 proved itself a champion year for the supercar, earning wins at Le Mans and numerous other tracks in both IMSA and WEC during last racing season.